Sensoji is the oldest temple in Tokyo. It is said that in the 7th century, two fishermen found a small golden statue of Bodhisattva Kannon in their fishing net. The local people built a small temple for the statue near the Sumida River. The current building was completed in 1958. The main gate of the temple is called Kaminari Mon or Thunder Gate. It has a large red paper lantern and two statues in it. One statue is Hujin or the God of Wind and the other is Raijin or the God of Thunder. These gods are believed to protect people from natural disasters. 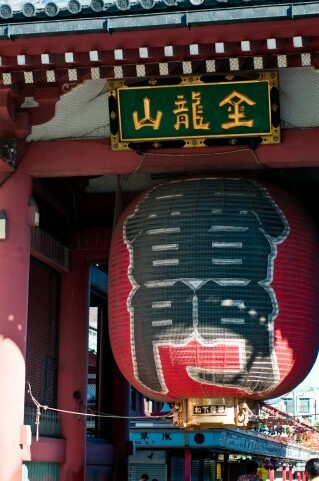 There is a long shopping street between the gate and the temple. The street is called Nakamise Dori. Shops along the street sell a variety of souvenirs such as rice crackers, sweets, ukiyoe woodblock prints and traditional toys.